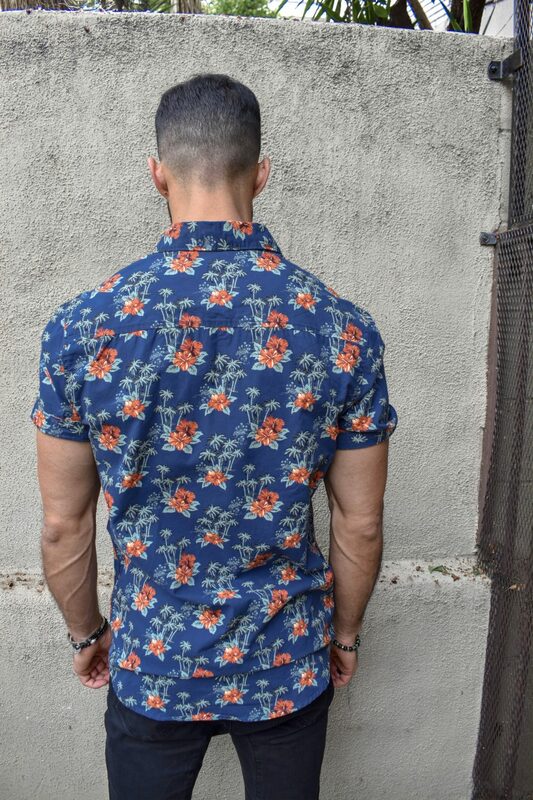 Blue with orange flowers button down shirt. 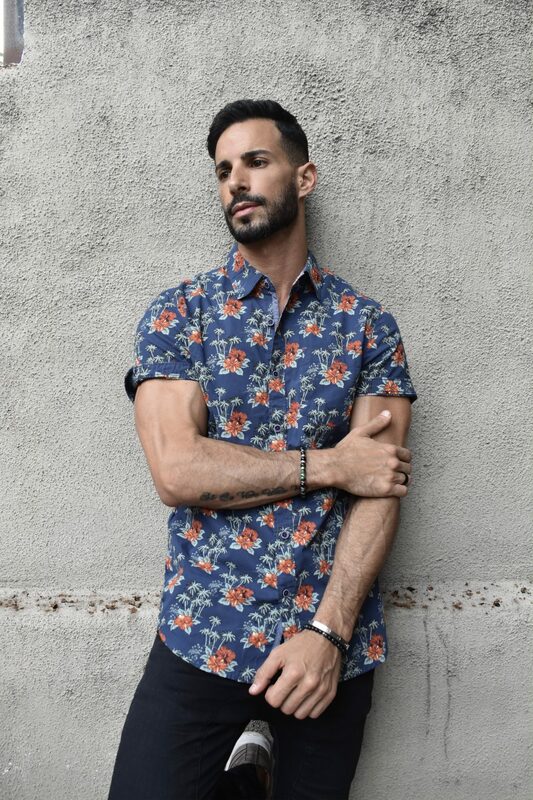 Blue flower button down shirt.Short sleeves. Collar buttoned.